Make a real difference in your community by contributing your time, effort, and skills. Whether you can volunteer for an hour or a day, you can help every Angeleno gain access to a home, a great education, and the chance to make the most of life. Check out our volunteer opportunities to find one that's right for you! United Way of Greater Los Angeles is proud to partner with Wells Fargo to create volunteering opportunities that matter. Enter your invitation code below to view and sign up for upcoming opportunities. Assemble “Welcome Home” kits for Families Exiting Homelessness! Volunteer with United Way of Greater Los Angeles and Los Angeles Education Partnership as a mock interviewer! 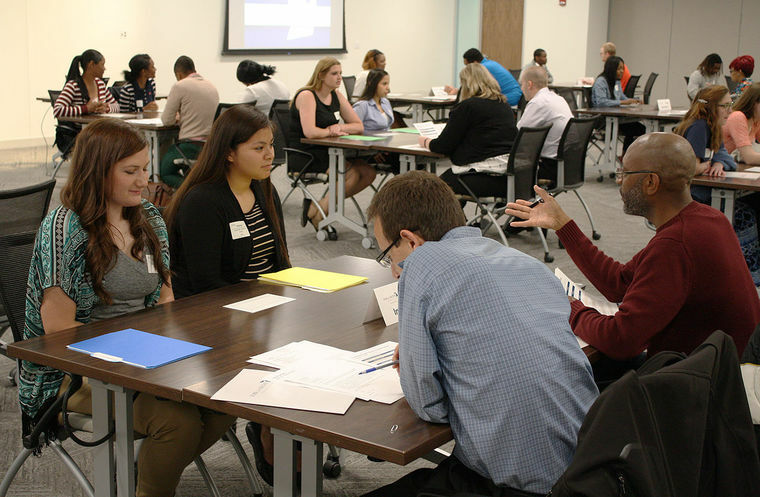 Volunteers will meet one-on-one with 12th grade students assessing them on their resumes and responses.This is a great opportunity to prepare students with the soft skills they need to navigate college and a professional work place. Register today! 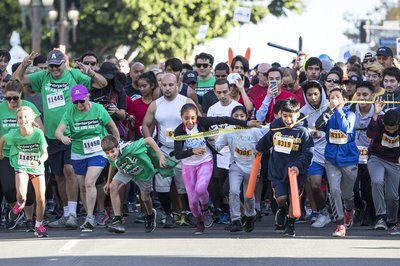 Volunteer with United Way of Greater Los Angeles and Harbor Interfaith Services at Harbor Interfaith's annual 5k run/walk on April 27, 2019! The event will be held at Ernie Howlett Park in Rolling Hills Estates, CA (25851 Hawthorne Blvd) and volunteers are needed to help set up our booths for the Health Expo and assist with the sign-in process for our runners. Setup will begin at 6:30am and the event will conclude at 12:30pm. Sign up today! Volunteer with United Way of Greater Los Angeles and the City of Alhambra to beautify our communities! 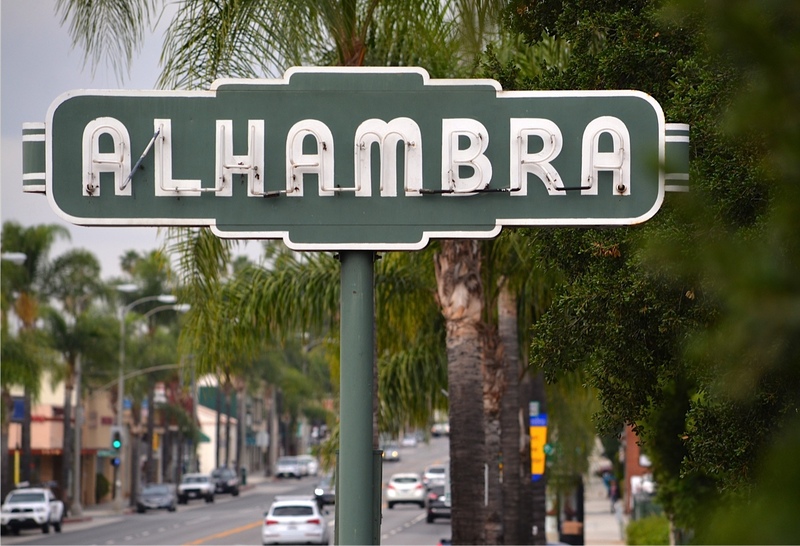 The City of Alhambra is hosting its 5th Annual Neighborhood Clean-up event on April 27th, 2019 from 8 am- noon. The focus of this outreach event is to assist residents with a variety of exterior maintenance issues from hauling away trash and large bulky items to raking leaves, mowing lawns, pulling weeds and trimming hedges and trees which will help promote safe and well-maintained neighborhods. This event is possible due to those people that roll up their sleeves and lend a helping hand to strangers. This year we will cover 7 city blocks that contain approximately 231 homes. The city will provide food and drinks for our volunteers and the tools needed for the clean-up. If volunteers would like to bring their own gloves or tools they certainly can do so. We will have a central command post set up where all of our volunteers can meet, get briefed and fuel up on some coffee and breakfast items prior to being dispersed and also regroup after the event for lunch. Sign up today! Be a Mock Interviewer for High School Students! Join United Way of Greater Los Angeles and EduCare Foundation to serve as a Mock Interviewer at Social Justice Humanitas Academy on April 29 and 30! As our 12th grade students prepare for college and careers, we need one-time volunteer mentors like you to advise them on their resumes, interviewing skills, elevator pitches, professionalism and leadership. Come prepared to do one-on-on interviews and give feedback; we want to learn from your expertise. And, if you happen to have an internship, volunteer or job opportunity available, we hope you'll consider our young leaders, too! Interviewers are needed from approximately 8:00 a.m. - 12:00 p.m. on April 29 and/or April 30. Please join us! Volunteer with United Way of Greater Los Angeles and Los Angeles Education Partnership as a mock interviewer! Volunteers will meet one-on-one with 12th grade students assessing them on their resumes and responses. This is a great opportunity to prepare students with the soft skills they need to navigate college and a professional work place. Register today! Join us for a day of fun and entertainment! Imagine LA and United Way of Los Angeles are seeking corporate partners and individuals to help us make an impact in the lives of families who have recently exited homelessness and now are participants in the Imagine LA mentorship program. This event is a carnival style celebration following a commencement ceremony for our 2018-2019 program graduates. Service opportunities range from hand-on help with running booths, serving food, and logistical support to sponsoring a carnival booth or underwriting the entire event. Individual volunteers can sign up directly via the United Way portal. This opportunity is available for sponsorship and large group corporate volunteer teams. Sponsorship includes a variety of opportunities to create additional impact. Contact [email protected] for more information and scheduling. Thank you for your interest in joining United Way of Greater Los Angeles, the Los Angeles Rams, County leaders, advocates and your fellow Angelenos for HomeWalk 2019 - L.A.’s largest walk to end homelessness. Friday Setup Volunteers will help with set up of the event village on Friday, April 17, 2019, the day before the event. 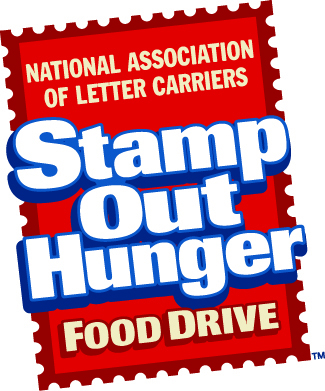 Volunteers should be prepared to roll up their sleeves and lift items that may weigh over 20 lbs. Individuals age 14 and over are welcome to serve as Friday Setup Volunteers, with parent supervision. Thank you for your interest in joining United Way of Greater Los Angeles, the Los Angeles Rams, County leaders, advocates and your fellow Angelenos on Saturday, May 18 for HomeWalk 2019 - L.A.’s largest walk to end homelessness. Parking Host Volunteers will help direct walkers and volunteers in the parking areas, managing traffic flow, and providing a "customer service" attitude to all walkers and volunteers. Individuals age 18 and over are welcome to serve as Parking Host Volunteers due to safety concerns. Thank you for your interest in joining United Way of Greater Los Angeles, the Los Angeles Rams, County leaders, advocates and your fellow Angelenos on Saturday, May 18 for HomeWalk 2019 - L.A.’s largest walk to end homelessness. Walker Sign-in Volunteers will check in walkers and collect the funds they have raised. These volunteers must be friendly, outgoing, and detail-oriented, and have a valid photo ID. Individuals age 14 and over are welcome to serve as Walker Sign-In Volunteerse, with parent supervision. Thank you for your interest in joining United Way of Greater Los Angeles, the Los Angeles Rams, County leaders, advocates and your fellow Angelenos on Saturday, May 18 for HomeWalk 2019 - L.A.’s largest walk to end homelessness. Route Marshal Volunteers get a front-row seat to the Walk, so they're also able to cheer the walkers on and see all of the participants as they go by! Route Marshals direct the flow of participant traffic and help keep walkers safe at key intersections along the route. These volunteers must be outgoing, energetic, and good communicators in order to guide the walkers safely. Then stick around to help us make sure the venue is spotless and beautiful. Individuals age 11 and over are welcome to serve as Route Marshals, with parent supervision. Thank you for your interest in joining United Way of Greater Los Angeles, the Los Angeles Rams, County leaders, advocates and your fellow Angelenos on Saturday, May 18 for HomeWalk 2019 - L.A.’s largest walk to end homelessness. Way Finder Volunteers will welcome walkers as they enter the venue and be part of the excitement at the start and finish line of HomeWalk! Energetic and outgoing personalities are a must! Then stick around to help us make sure the venue is spotless and beautiful. Individuals age 11 and over are welcome to serve as Way Finders, with parent supervision. Thank you for your interest in joining United Way of Greater Los Angeles, the Los Angeles Rams, County leaders, advocates and your fellow Angelenos on Saturday, May 18 for HomeWalk 2019 - L.A.’s largest walk to end homelessness. Checkpoint Volunteers help set up, manage, and maintain our walker checkpoints along the route. You will be distributing snacks and beverages and helping direct walkers to services such as restrooms and first aid. Afterwards, all volunteers help with cleanup. Individuals age 11 and over are welcome to serve as Checkpoint Volunteers, with parent supervision. Thank you for your interest in joining United Way of Greater Los Angeles, the Los Angeles Rams, County leaders, advocates and your fellow Angelenos on Saturday, May 18 for HomeWalk 2019 - L.A.’s largest walk to end homelessness. Security Volunteers will help with crowd control and security during the HomeWalk Opening and Closing Ceremonies. Security Volunteers must possess excellent leadership and communication skills. Individuals age 18 and over are welcome to serve as Security Volunteers. Thank you for your interest in joining United Way of Greater Los Angeles, the Los Angeles Rams, County leaders, advocates and your fellow Angelenos on Saturday, May 18 for HomeWalk 2019 - L.A.’s largest walk to end homelessness. Finish Line Volunteers will be the first to welcome back the walkers! Help us celebrate at the finish line by handing out medals and cheering as the walkers return from the route. Then stick around to help us make sure the venue is spotless and beautiful. Individuals age 11 and over are welcome to serve as Finish Line Volunteers, with parent supervision. Volunteer with United Way of Greater Los Angeles and the Fulfillment Fund to celebrate students' achievements! Fulfillment Fund provides forward-thinking, high quality, individualized college access services, primarily to students from Title 1 high schools in Los Angeles. Many of our students will be the first in their families to go to colloege. We host an annual BBQ for students served by the Fulfillment Fund. Volunteers are needed help with day-of event logistics (check in, serving food, etc). Address: Cheviot Hills 2551 Motor Ave. Los Angeles, CA 90064. Vounteers will arrive at 8:30am and the event ends at 3pm. Every year, United Way of Greater Los Angeles and its supporters participate in a Day of Action, bringing help where it’s needed most. Join us — along with Everyone In and our Young Civic Leaders Program (YCLP) — as we help our YCLP members start their college journey with the supplies and confidence needed to be successful. Your efforts can start early too! All volunteers are encouraged to host a DIY Donation Drive prior to United Way’s 2019 Day of Action using this College Survival Supplies Drive DIY Toolkit. Please bring collected donations on June 22. Items must be new or unopened and include school supplies, dorm room items, store gift cards, luggage, technology, and more. At the event on June 22, you’ll help sort all donated items but you’ll also have the opportunity to learn more about our homeless neighbors. Everyone In community organizers will be on site to teach you about the links between homelessness and the struggles of first-generation college students. Event Details When: Saturday, June 22, 2019, 10:00 - 11:30 a.m. Where: United Way of Greater Los Angeles Address: 1150 S. Olive St., 4th Floor Conference Center, Los Angeles, CA 90015 For more information or how you can get involved, click the button above or contact United Way’s Engagement Manager, Brian Rosenbaum at [email protected]rg.